Home > all > International News > Miss Fiji, Anne Christine Dunn, is the new Miss Pacific Islands. 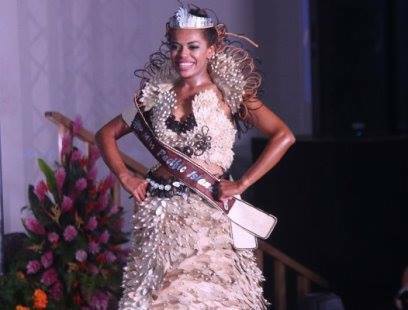 Miss Fiji, Anne Christine Dunn, is the new Miss Pacific Islands. She has just been crowned by the outgoing Miss Pacific Islands, Abigail Havora, at Tuana’imato at the end of the grand finale of this year’s pageant. Taking the crown to Fiji, Ms. Dunn and her country will also host next year’s Miss Pacific Islands Pageant. And your new Miss Pacific Islands goes to Miss Fiji, Anne Christine Dunn.